On Sunday September 6, 2015 the voters entrusted me to lead Nepalese Association in Southeast America (NASeA) for 2015-2017 term. While I am honored to be the leader, I have no illusions about the daunting tasks that lie ahead for our organization. I would also like to extend my congratulations to other elected officers and executive members. My sincere thanks to everyone who contested and truly followed the democratic process to honor the election result. Please note that during this election there were no losers. Everyone who stood up had a clear vision and a purpose of how they wanted to take this organization forward. While our methods to reach the goal might be different, there never was a dispute on the ultimate goal. We all wanted an organization that follows its by-laws and mission, is inclusive, and serves its members to its fullest, and willing to make necessary course correction when needed. I would also want to thank each voter who participated regardless of whom you voted because that is one of the civic duties you all fulfilled to keep the flame of democracy alive when it has been so elusive in many other organizations here in USA as well as in Nepal. So big thanks to all the candidates, voters as well as volunteers of independent election commission led by Dr. Prahlad Pant, Dr. Narayan Rajbhandari and Dr. Khusi Ram Tiwari together with the Membership Verification Committee led by Dr. Prakash Malla, Mr. Ajaya Satyal and Mr. Lekh Nath Ghimire. There will be no place for divisive politics in NASeA, the kind that has been displayed in many other organizations. In fact, the very divisiveness has led to the demise of some of these organizations. Instead, we will focus on understanding and fulfilling the needs of our community. Together we will work hard to bring about new programs and positive changes. My team will seek out new talents in Nepali community to form advisory board. People with perspectives will bring newer visions. Proven Nepali professionals are our assets and we must seek their support and views. I have formally invited Mr. Madhav Dhakal, who did an excellent job of hosting and chairing the 11th Convention as one of my 1st proposed advisor. Our collective role should be to promote leaders like him so that not only our organizations benefits but that he can continue to evolve through newer experiences and grow into something that entire State of North Carolina, Nepal and US can benefit and be proud of. Anyone who shows such talent, our collective role should be to promote one of our own, including the Honorable Vice Mayor of Indian Head Mr. Kiran (Ron) Sitoula, who continues to set examples to the Nepali youth in America. During my tenure, I will leave no stone unturned, be transparent, credible and honest to the NASeA community. I will also be open to ideas and suggestions that benefit our beloved organizations. All of the meeting minutes will be properly documented and posted online, financial matters will be posted online, annual and monthly activities of calendar will be well planned, coordinated and published so that we can lead our organization as professionally as we can. Our agenda for next two years will be published in coming days. We will put our best effort to make it very inclusive. It will be driven by need basis and we will make sure we will get input from as many people as we can. I understand that we need to review our past works and improve any lacking components of them through recommended constructive suggestions by implementing them in practice. 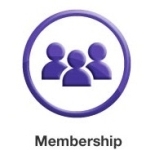 This will help larger community join the NASeA. We will do our best with sincere effort and genuine face in everything we attempt to do. Important of all, I will uphold the NASeA constitution and remain in close consultation with all Former Presidents/Founders of NASeA to reinforce our joint commitment in fulfilling the goals as guided by the charter. So please wish me and my team best of luck and we will continue to count on your support and guidance and honor your trust as well as your vote. On behalf of the newly elected committee, I would like to thank the outgoing executive team of NASeA led by Immediate past President Dr. Ram C. Baral. We will continue to build up on the historic legacy of the past 24 years of achievements. 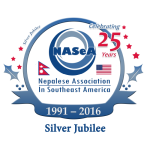 In 2016 NASeA completes her 25 years and on this auspicious occasion, as I have proposed, we will celebrate NASeA Silver Jubilee in Atlanta. This will be a special event of my presidency and we will celebrate with pride. I extend my sincere thanks to our all counterparts of the NASeA/ANMA joint convention 2015, ANMA President Sushil Shrama/Officers, Convention Chair Madhav Dhakal together with all committee chairs, host organization, TNCC President Narayan Khadka/Officers and Nepalese community in Greensboro/High point North Carolina for the historical success of the joint convention. Furthermore, I would like to thank all our partner organizations Presidents, community leaders and well-wishers together with all online TV/media and journalist whose participation heightened the event. It is always great pleasure to have H.E. The Nepali Ambassador to US Dr. Arjun Karki as the chief guest representing our beloved motherland Nepal. 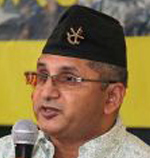 As the theme of the joint convention was to “Help us to Rebuild Nepal! Save the Lost at Any Cost” every penny saved will go to Nepal to support the mission. I am pleased to introduce you my team of excellence for NASeA Executive Committee 2015-2017. As always count on us we will be at your service 24/7!